MINING magnate Clive Palmer's China First Pty Ltd is launching an $8 billion lawsuit against rail operator QR National for competing with his plans to build a 500km rail link to carry coal. Mr Palmer alleges a breach of confidentiality and misleading conduct over the proposed rail link between the Galilee Basin coal region and the Central Queensland coast. QR National's own proposed Central Queensland Integrated Rail Project was announced last week, when the state government granted it significant project status. 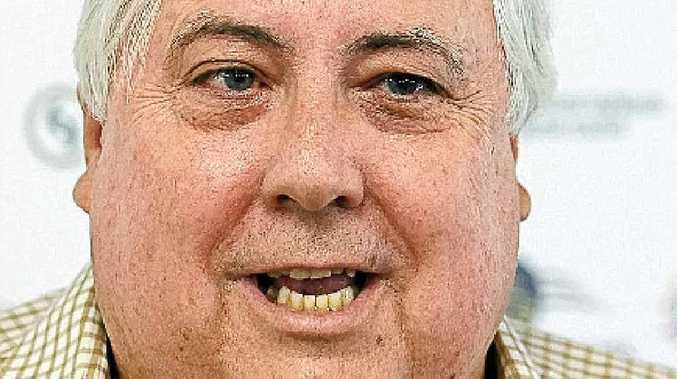 It will link multiple mines in the Galilee and Bowen basins to coastal ports.China First, a Clive Palmer-owned exploration and coal mine development company, says it is filing a damages claim in the Queensland Supreme Court against QR National. The action seeks damages of $8 billion and injunctions against QR National. It also seeks to stop relevant parties from dealing with QR National in respect of the Galilee Basin and its corridor and associated port facilities.